The atmosphere was intense but spirits were high at the 6th Barracuda Tour, which took over the Port du Crouesty, in Brittany, France, from 25 May to 2 June. For a few days, the sea around the Quiberon Bay was the theatre for the best no-kill fishing competition in Europe, and everyone among the 600 international contenders – 150 teams – agrees that the event is of international standard. Winners for the first time, the ATM Communication team (Côtes d’Armor) came first in the Grande Final ahead of Chantereyne 2 (Beneteau Cherbourg) and Sun Way (trailers). Yannick Hemet, Beneteau’s sales director for south Europe, the organizer of the event, is extremely satisfied with the wonderful result. What were the weather conditions like for this 6th Barracuda Tour ? The weather conditions were very variable in the beautiful Quiberon Bay area. The changeable weather during the Amateur Challenge and on the Thursday of the Grand Finale gave way to perfect conditions on the following days around the islands of Hoëdic and Houat. To add to everything, we had sailing yachts competing in the popular Tour de Belle-Ile regatta sailing in the background. It was magical! What’s the team news this year ? We welcomed a large number of new countries: in addition to the Japanese, Croatians, Italians, Spanish, British, Germans, Americans, Turks and Poles, we were honoured to play host to Chinese teams. 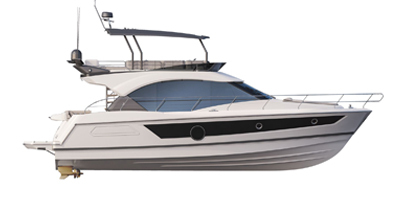 Our Beneteau dealers are increasingly involved every year and a growing number of them organize the Selections. The professionalization of the teams is notable, as well as the participation of people coming from all walks of life. The astronaut Jean-Loup Chrétien, the professional UJAP basketball team and the world handball champion Lars Kauffman, joined us for the event this year. It also had a really big following at the Boatyard and we also had teams defending Beneteau’s colours. What about the actual competition? We opened the competition to all species of fish. Admittedly, the bass remained the prize catch, but all species were taken into consideration this year and the biggest catch was 79 cm long. In addition, the whole of the Barracuda range (6, 7, 8 and 9 metres) was there for the first time. For us, this is the best way to test these sport-fishing boats in real conditions. What’s more, we organized a “Rock fishing” event, in partnership with Fish à l’Affiche to encourage children to go fishing: with a 43 cm bass, thirteen-year-old Louis’s prize won hands down over many of the team’s catches! What do you think makes the Barracuda Tour a success? It’s a winning combination! The boat we chose has been a real ‘hit’ with amateur sea anglers and our partners contribute unreservedly to the event’s success by providing them with identical equipment selected among the latest innovations. From a purely technical point of view, the contenders are delighted with this one-design concept, which is one of a kind. The event is also visually powerful. Each hull is decorated in the colours of its sponsor and the spectacle of this colourful fleet is a sight to behold. "It’s a winning combination! The boat we chose has been a real ‘hit’ with amateur sea anglers and our partners contribute unreservedly to the event’s success . The contenders are delighted with this one-design concept, which is one of a kind. The spectacle of this colourful fleet is a sight to behold." The competition can be followed virtually instantaneously by internet users all over the world and it draws a significant viewership. The competition combines friendly fun with serious fishing much to everyone’s pleasure. Lastly, the involvement of Beneteau staff members definitely contributes to the quality of the event and its success. After the success of this 6th Barracuda Tour, what goals have you set for next year’s event? The Barracuda Tour has reached maturity. With 60 boats and 600 participants, the event could hardly develop further in numbers. However, we are going to do everything in our power to put the accent on the event’s internationalization, by organizing a greater number of Selections in new countries.